Last one. At over half original price. Small available. On eBay. Also still available on eBay. Available again. I ordered one before this expired this morning. They have all been cancelled clearly a price error. Not sure why they didn’t just say that. The out of stock excuse is just that. Nobody got these at that price. I actually brought 10 sets, but the lot was cancelled, they sell on ebay for about £50 a pair. 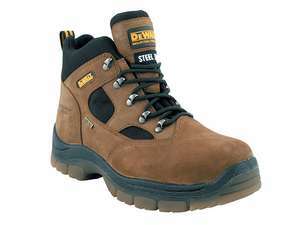 Seem to ba pretty decent deal for a good pair of waliking boots. Additional discount is applied if you add them to your basket, bringing it to the price the op quoted. Good deal for these boots, but be wary as there are a lot of reviews saying the quality is not good and they come apart after 6 months or so. I have no dog in this fight, just warning. Only size 11 and 12 left! Can only see small at that price? I have had two pairs of Merrell goretex boots, both pairs leaked from new. 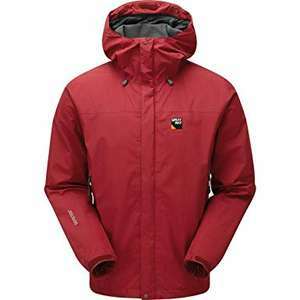 The problem is not with goretex, it must be the way the fabric is joined. Since when gore-tex stopped water proofing? Ah is it because it doesn't say "water proof" in the title? Not at this price, men's cheapest is around £100 mark (maybe a few quid less but with limited sized). Link? Actually don't bother because there isn't one. Never miss a 'Gore-Tex Clothing and Shoes' deal again! My new boots have arrived. I have a specific arthritis called Hallux rigidus, which means I have a lot of pain on the main joint of my big toe. These boots are great. They limit the movement, and mean that I can walk to the shops and back without the normal days of pain that follows, even with my specialist orthotics. I know that the deal is dead, so no one else will see this, but thanks Tacavas. Merrell aren’t worth the money anymore buy North Face Hedgehogs. Women’s Gore Tex Waterproof Cycling Jacket £79 @ Cotswold Outdoor. Can you walk 40 minutes from your car with these? 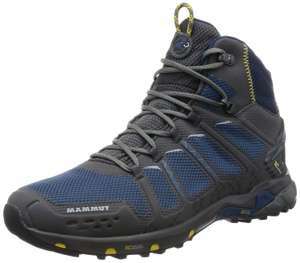 Usually best to order a size larger than you normally take with Salomon footwear. yep they will be fine. 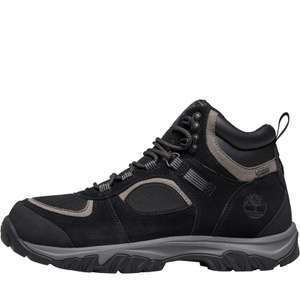 Got lots of gore tex boots/shoes from clarks. can slosh about in puddles and your feet will be bone dry (y) Last for ages too, still got a few pairs form 10 years ago. Yes. I have shoes that are similar and I walked 5 miles along hilly pavements the other day and no bother. Look mate I have an extra mclaren cap in m/l and a water proof jacket in m that I decided not to keep. If you want either of them I can sell it to u the same price I got them for, ie £6 for cap and £36 for jacket. Both are brand new arrived yesterday morning. PTFE is a dangerous cancer (and other issues)producing chemical. See Dupont and worldwide contamination of Teflon. There are no rules no but posting negatively against people's deals doesn't help. I had a look at your profile and you do it alot. People like you put people off posting. There should be rules against negative people like yourself putting people's deals down. By the way please show me this exact coat, exact colour for cheaper, brand new and I'll gladly shut up. If not, please try and keep your deal bashing posts to yourself or build us a time machine so your £20 cot deal does exist. You might not like it, but If you see any of my attitude or postings are against the forum rule please free to report it to forum rule.. You are the first one being sarcastics, using the wording time machine and now try to turn it around.. The original price was £115.00. I think the fact that the voucher code is working with this sale item is a glitch. Just got an email to say mine are on the way. Woop! This offer is in store too. Yep, just had the soles on a pair of Clarks disintegrate. Very unhappy at the poor longevity of the rubber. I'll think i'll stay away.